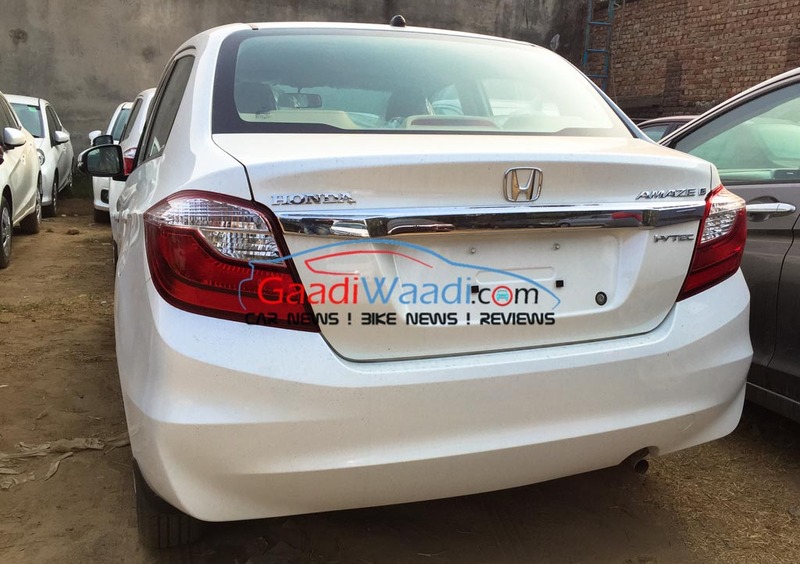 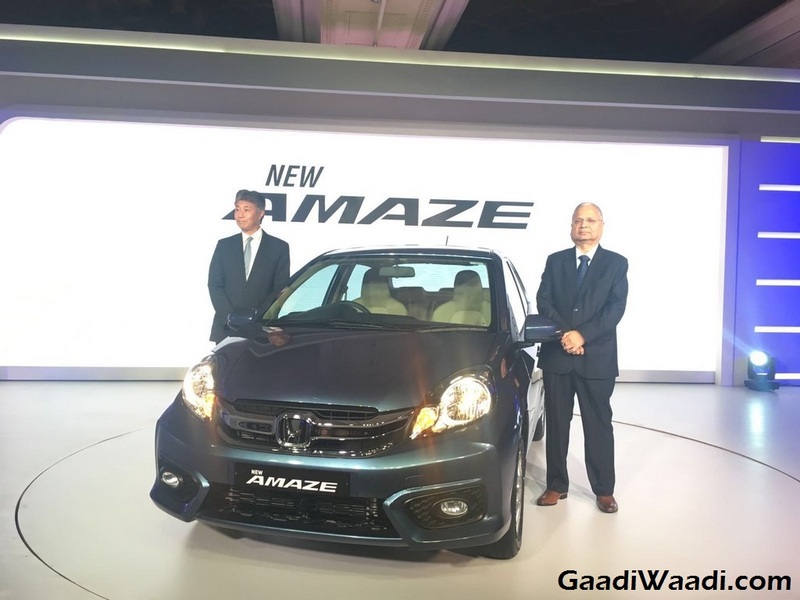 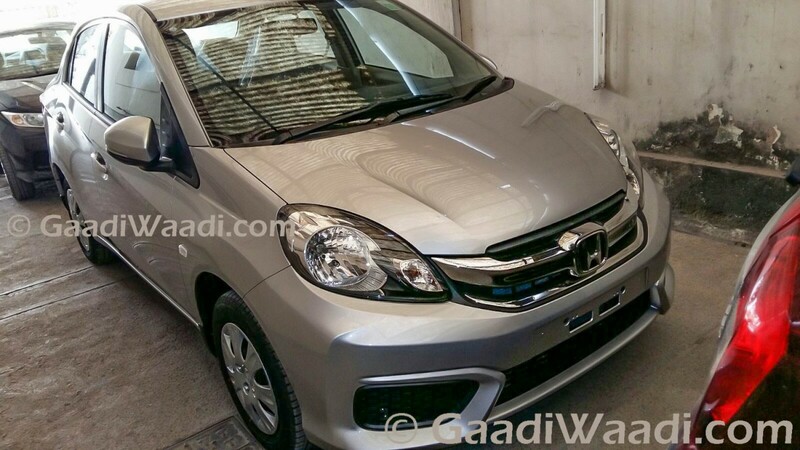 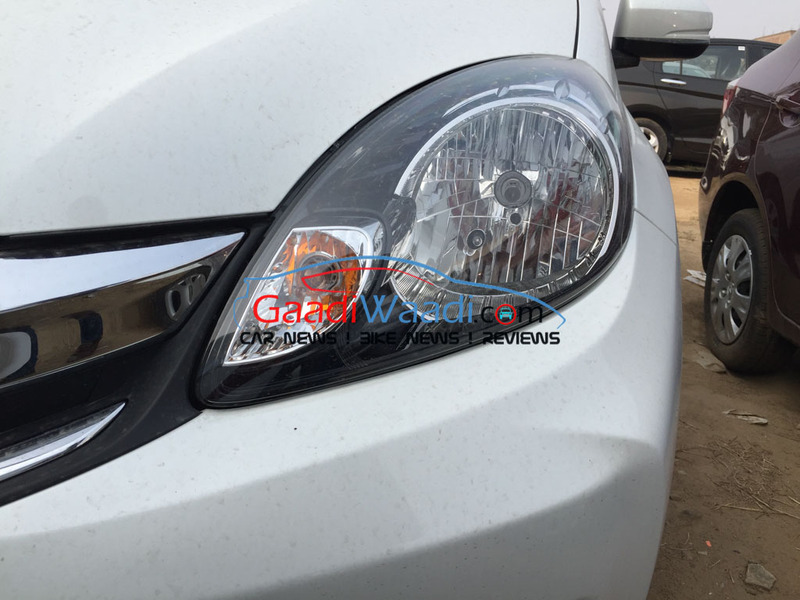 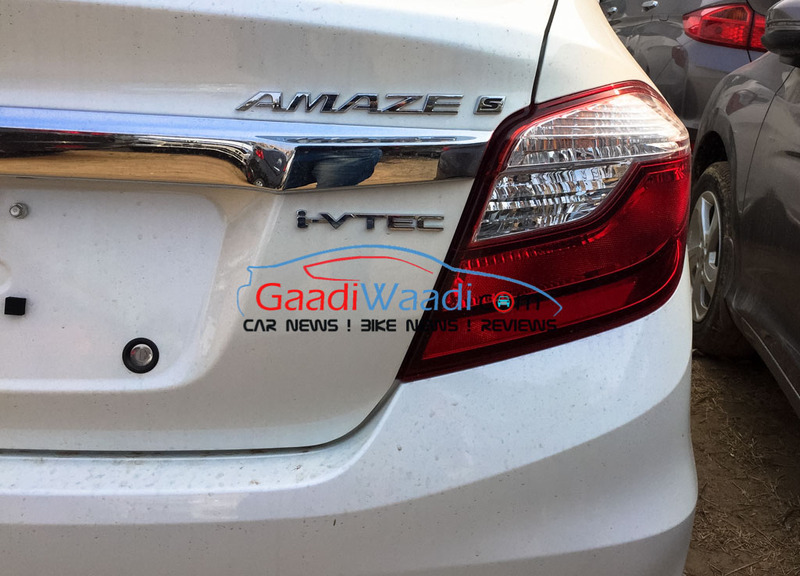 Honda Amaze sub-compact sedan was launched for the Indian market back in April 2013 and since then it hasn’t received any cosmetic and mechanical revisions. 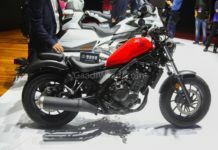 On another exclusive report, our sources had confirmed that the Japanese manufacturer decided to bring in a facelifted version of the sub-4m model in the first week of March. 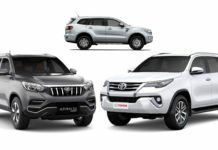 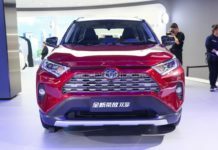 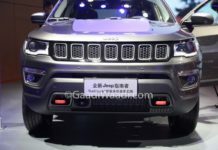 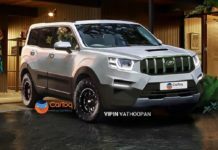 It would have minor cosmetic revision to the front and rear bumpers with a chrome-enriched grille and new foglamp enclosures along with slightly revised tail lamps. 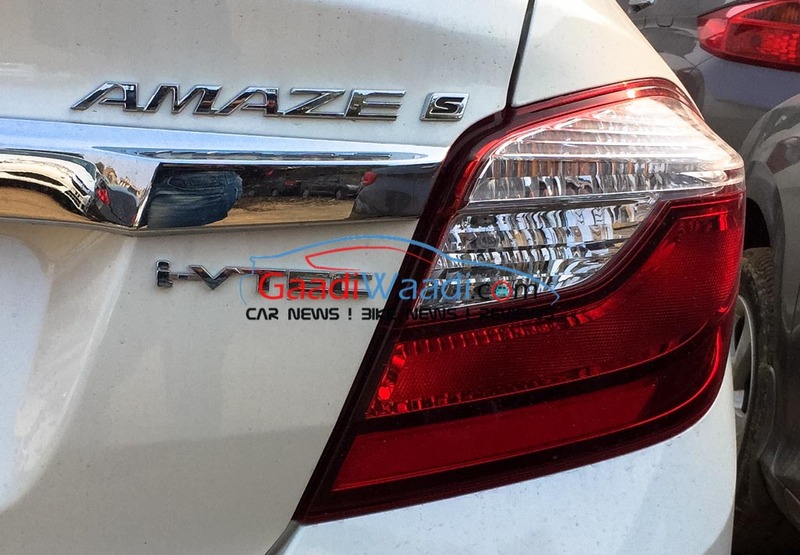 In confirmation with everything we revealed earlier, cloaks were lifted off the Honda Amaze Facelift today and it will be available to buy starting from a price of Rs 5.29 lakh for the base variant and Rs 8.19 lakh (ex-showroom, Delhi) for the range-topping model. 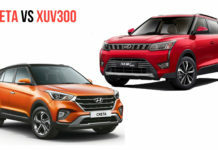 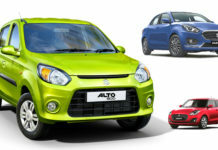 The lucrative sub-four metre segment has long been led by Maruti Suzuki Swift Dzire while Amaze plays a second-fiddle role ahead of the recently launched Ford Figo Aspire, Hyundai Xcent and Tata Zest. 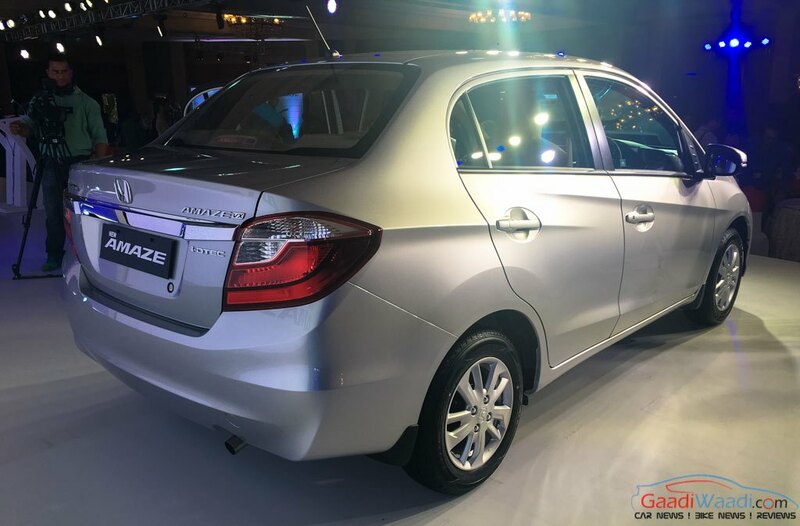 The four-door Amaze sedan was the first model the Japanese auto major fitted a diesel engine with for India. 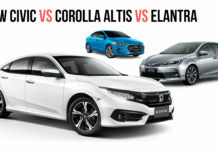 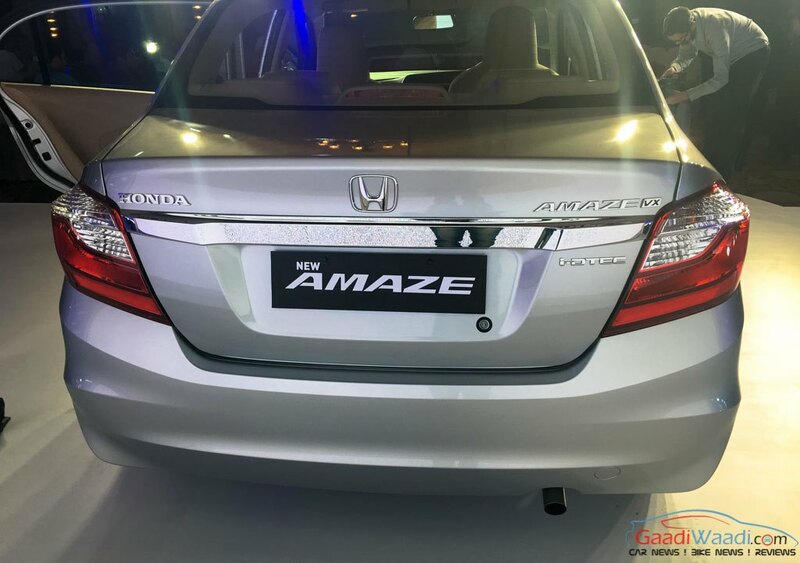 Although Amaze has been one of the top-selling products for Honda, the lack of updates inside and out have taken toll on the sales performance of the sedan. 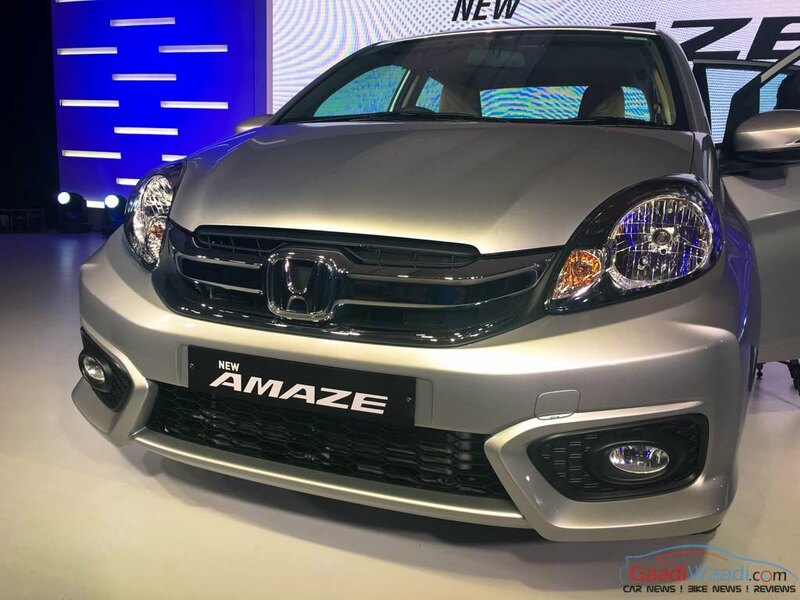 Topping off a roller-coaster year, December 2015 saw Amaze’s sales figures dipping to a new low as Honda retailed only 2,933 units as opposed to Dzire which was miles ahead at 16,790. 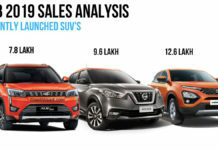 This implied to about 57% sales decrease compared to the corresponding month in 2014. 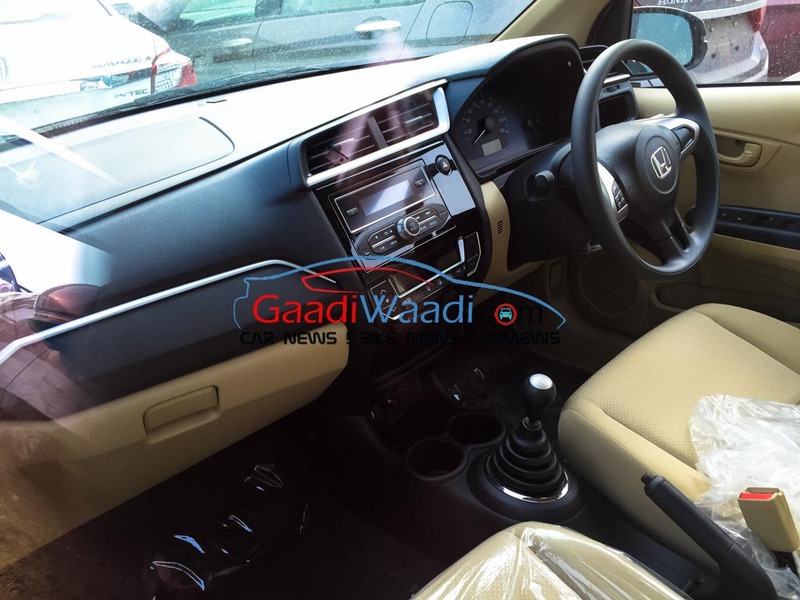 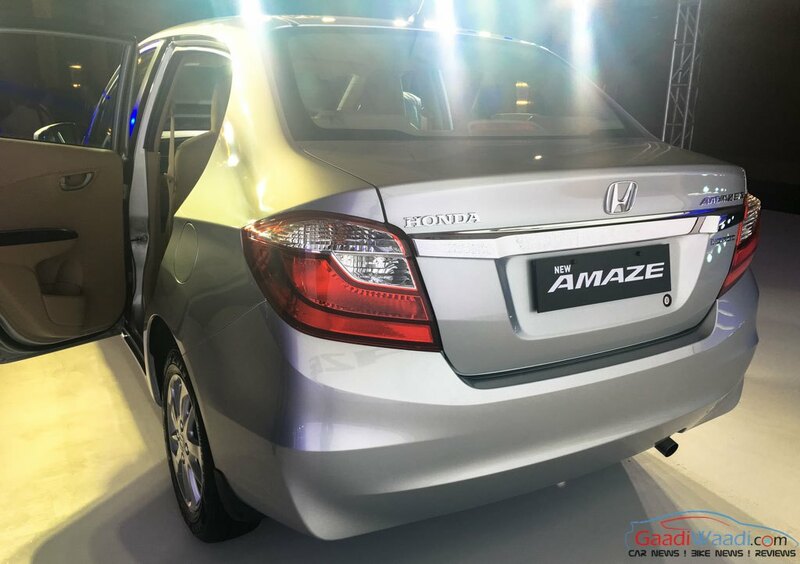 The Honda Amaze has been criticised for the bland interiors much like the Mobilio people carrier and thus the issues have been addressed in the mid-life facelift with the introduction of a new touchscreen infotainment system besides an updated dashboard. 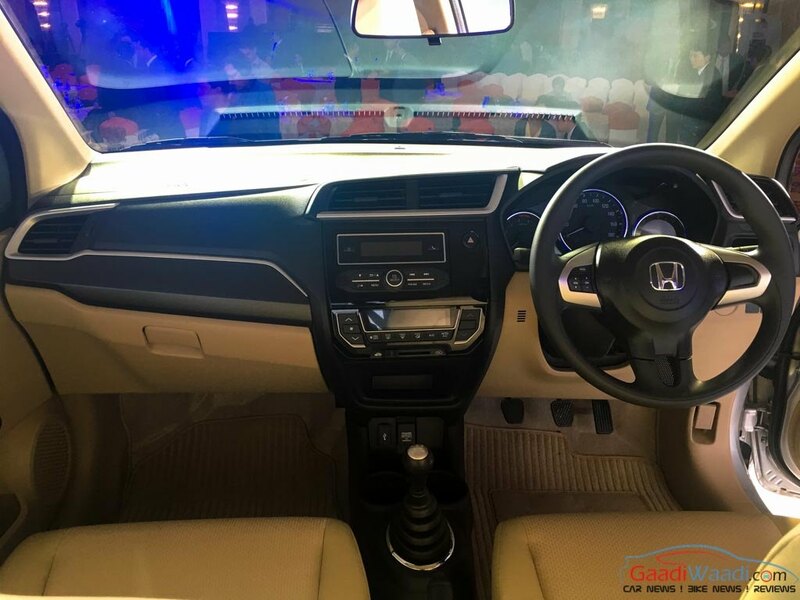 The recently launched Honda Mobilio in Indonesia with modified interiors will give a large clue into what have been featured in the updated sedan as the much anticipated automatic climate control system is employed along with dials as similar to the lower-end variants of City and Jazz. 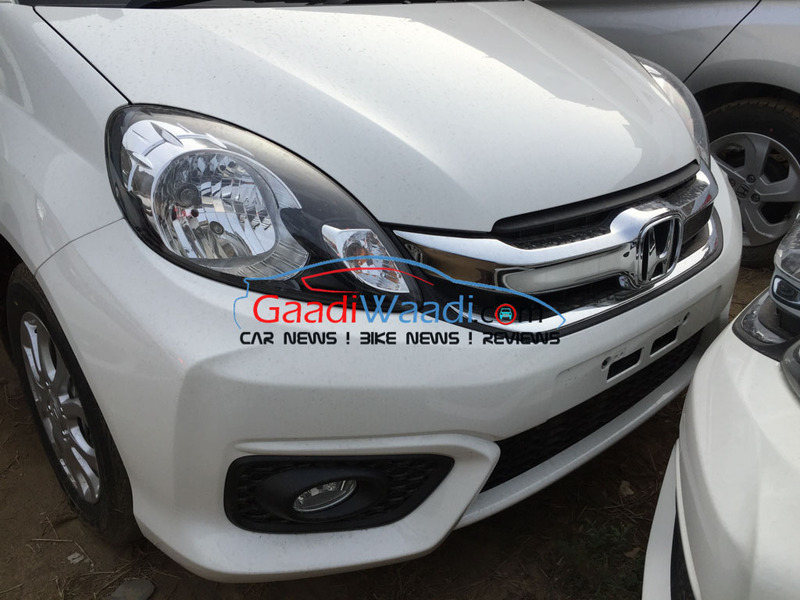 The facelifted Honda Amaze will have no mechanical changes as the 1.2-litre i-VTEC 16V four-cylinder SOHC petrol producing a power output of 87 bhp at 6,000 rpm and 109 Nm of torque is set to remain same. 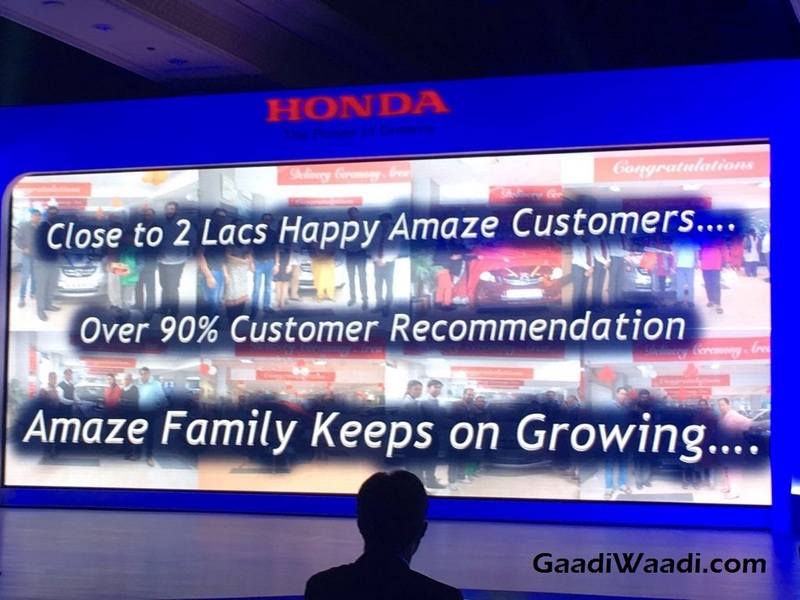 But slight revisions meant the engines produce less emission, friction and improved idling performance claims Honda. 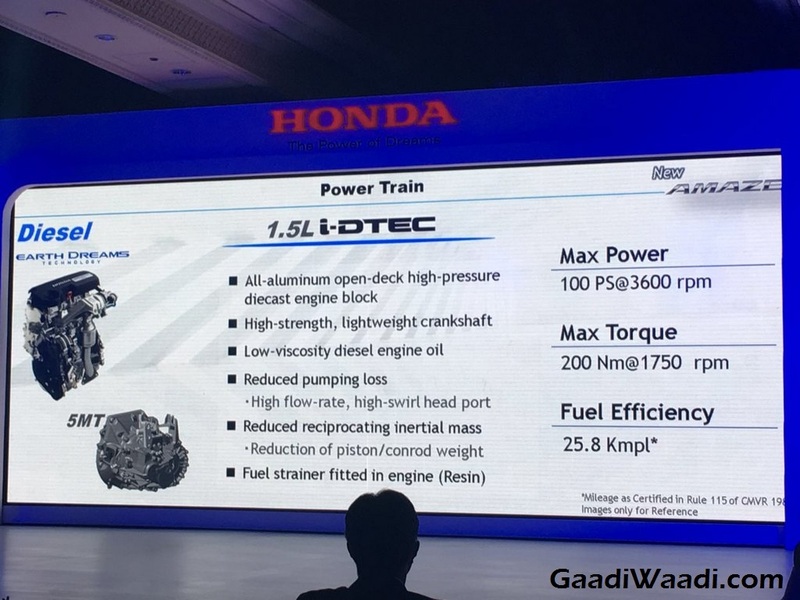 The proven India-specific 1.5-litre i-DTEC DOHC diesel will continue to pump out 99 bhp at 3,600 rpm and 200 Nm at 1,750 rpm. 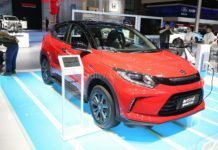 Both engines will be mated to a five-speed manual transmission driving the front wheels as the outgoing model but the petrol has option for an automatic which will now come with, the first-in-class, Earth Dreams CVT gearbox. 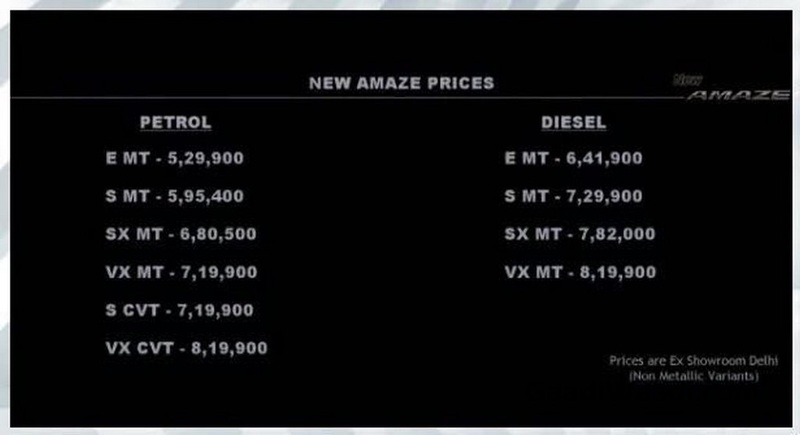 The 1.2-litre petrol will have the same claimed mileage figure 17.4 kmpl for five-speed manual and 18.1 kmpl for the CVT automatic models. 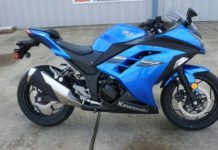 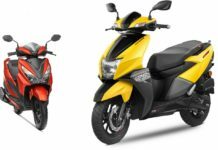 The 1.5-litre oil-burner returns a fuel economy of 25.8 kmpl certified by ARAI. 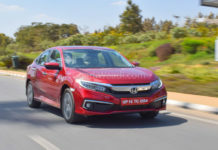 The sub-four metre sedan will continue to measure about 3,990 mm in length, 1,680 mm in width, 1,505 mm in height and has a wheelbase of 2,405 mm with 165 mm ground clearance and 950 kg kerb weight. 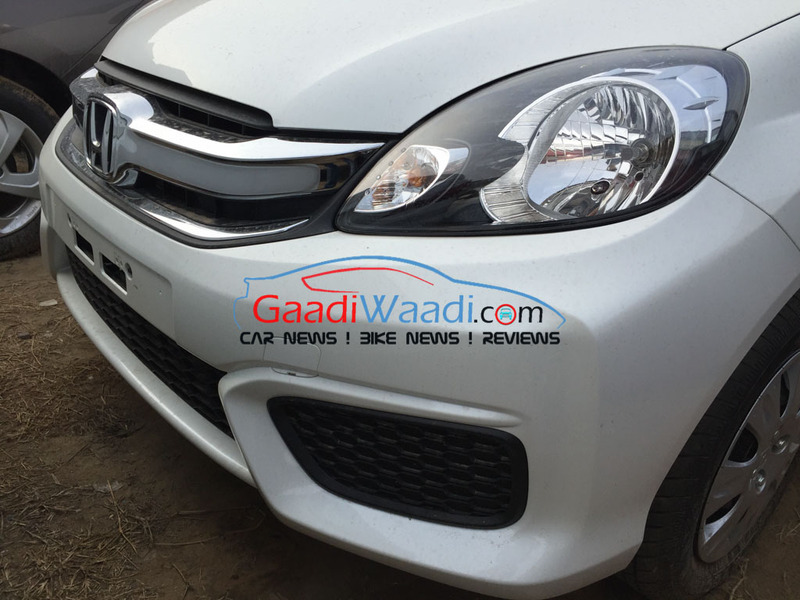 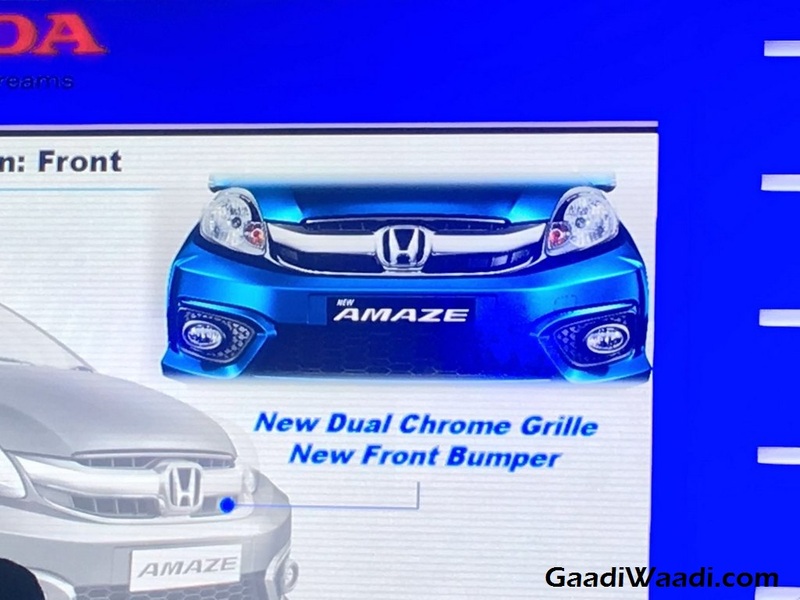 The spied picture revealed earlier by us clearly depicted the new enriched chrome treatment done to the front grille which resembles to that of the upmarket City sedan. 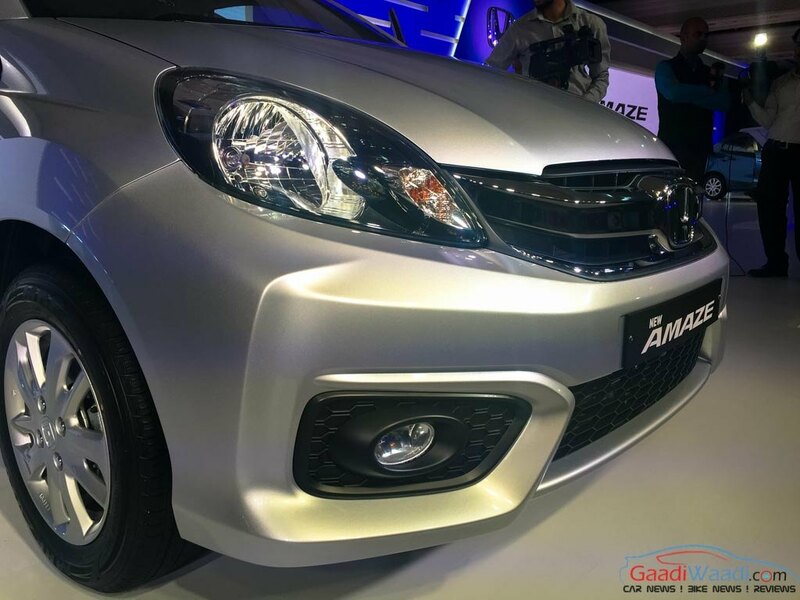 The foglamps have received new enclosures, mimicking the Mobilio MPV in certain ways, with refreshed front and rear bumpers adding a subtle touch. 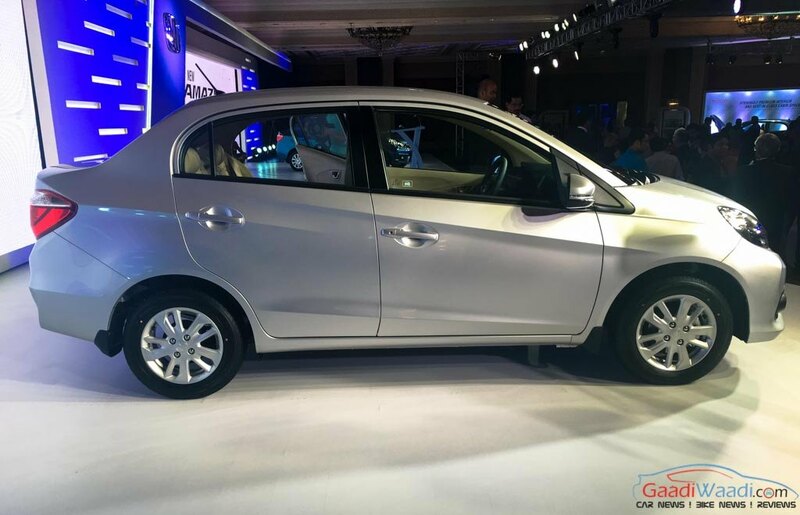 Minor changes to the rear tail lights(receives clean lens treatment) and registration plate have been incorporated while the Amaze will continue to feature elliptical headlamps derived from the Brio small hatchback. 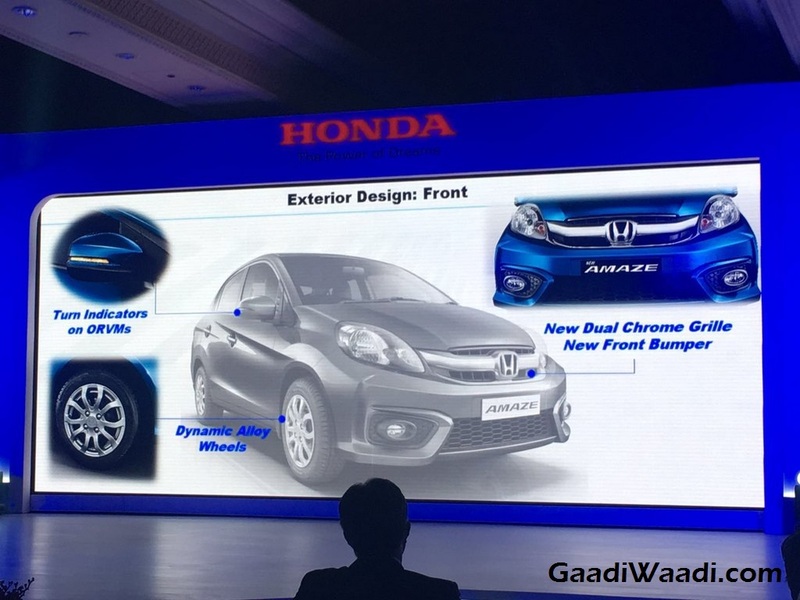 The wing mirrors now has integrated turn indicators accompanied by new alloys and Bluish Titanium colour added to the existing line-up. 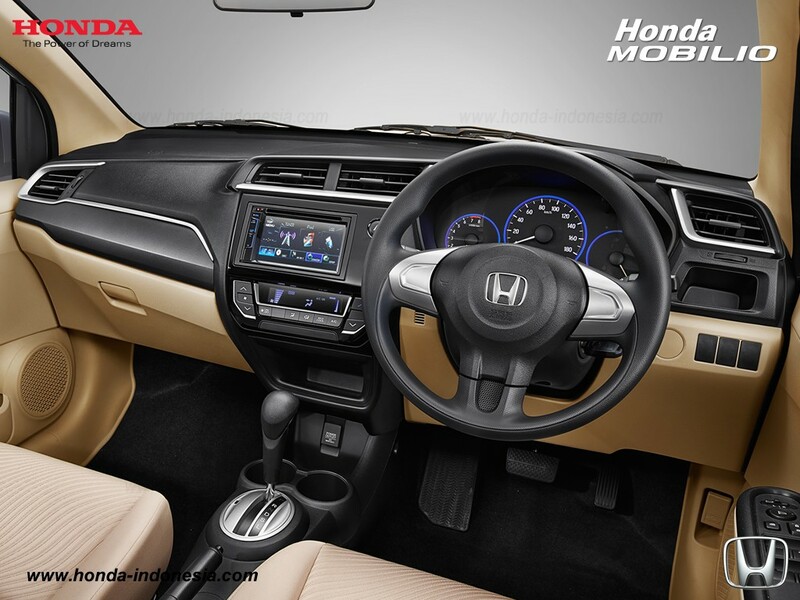 Honda heard customers’ complaints about the rather unimpressive interiors fitted with the Mobilio and introduced updates taken from the BR-V for Indonesia. 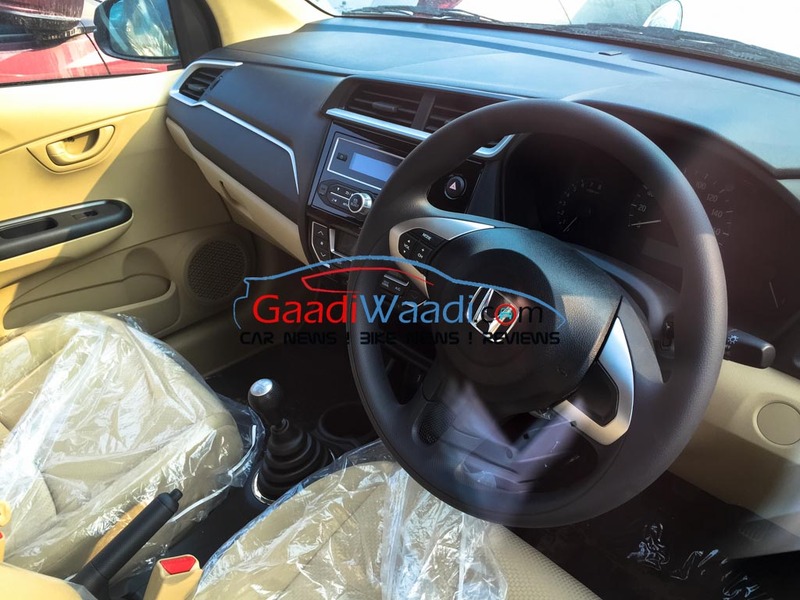 They have done just that for our domestic market with a fresh Piano black finished dashboard derived from the upcoming BR-V along with Jazz premium hatchback’s instrument cluster. 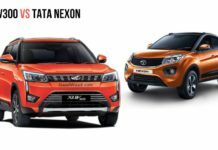 The dual-tone interior is complemented by the new advanced Bluetooth enabled music system with aux and USB compatibility that has been adapted in conjunction with the inclusion of automatic climate control system. 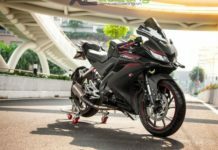 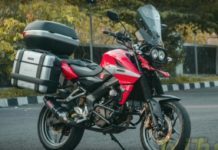 To improve the safety quotient, Honda will offer airbags as option from base variant and stated that dual airbags will be mandated in the FY 2016-17. The Honda Amaze facelift will go up against usual nemesis and the segment-leading Maruti Suzuki Swift Dzire(received minor updates last year), Ford Figo Aspire, Tata Zest and Hyundai Xcent.